$75 for this Suktion short on eBay!? - - - Is there something we should know? The LIMITED EDITION Deluxe DVD of "The Collector" will be shipping in mid-January for only $10! 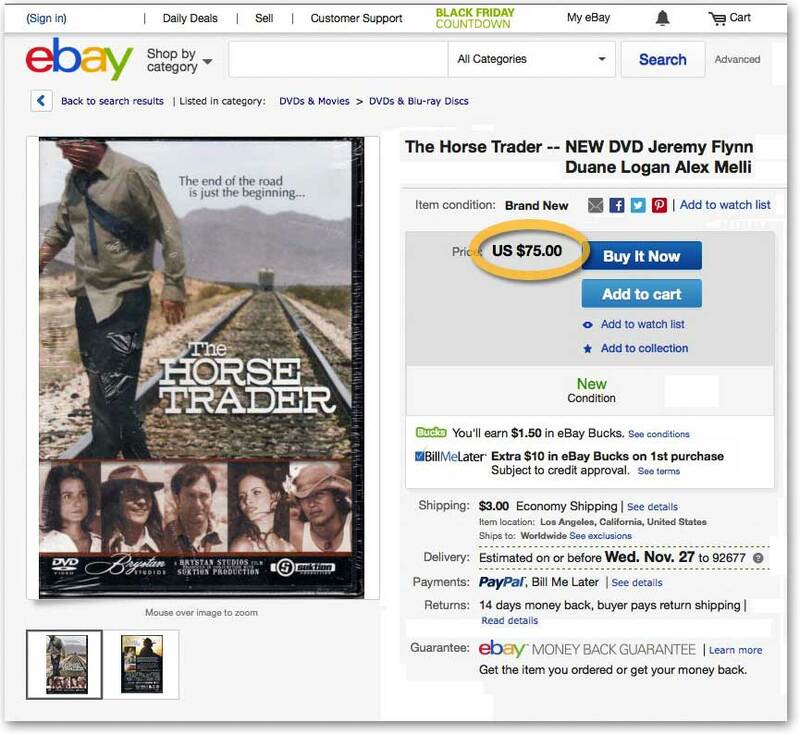 This is the deal of the century for a DVD with more Special Features than your average Hollywood studio Film! 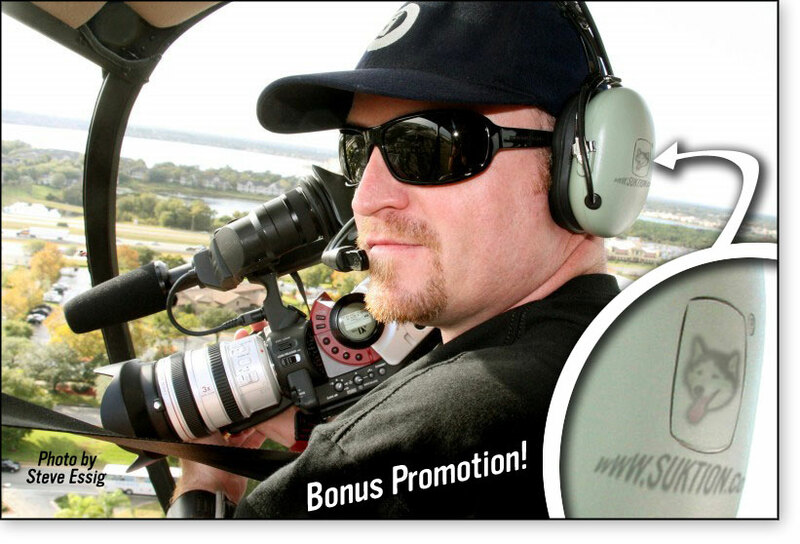 Over 90 minutes of bonus features fill this jam-packed, Limited Edition DVD. Get yours today! 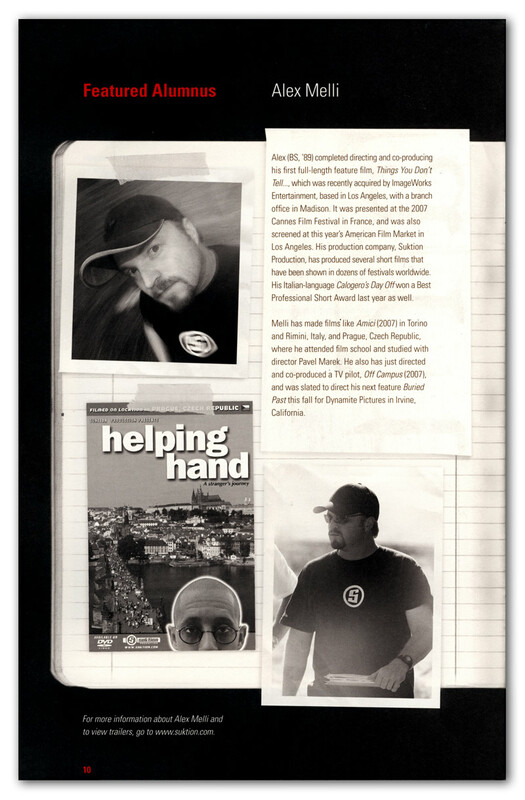 "THE COLLECTOR" Premiers at Newport Beach Film Festival! 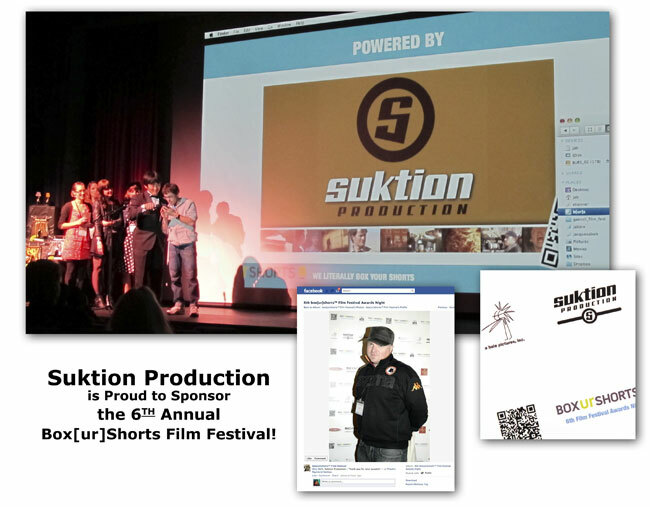 The SUKTION PRODUCTON debut short film, "The Collector" was premiered at the Newport Beach Film Festival in Newport Beach California as one of over 120 films presented in this prestigous 7-day event. This short film about a young man's greed and deception was presented along with five other short film selections of varying subject matter, but all under the moniker "Big City Shorts." 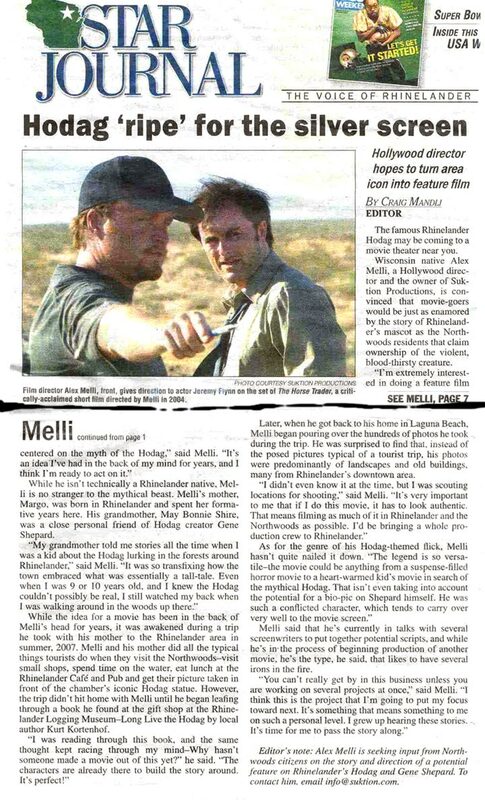 The debut effort from director Alex Melli and writer Bibi Ong-VanZandt was viewed by a well-heeled gathering of astute moviegoers, making an impressive turnout for the late Monday afternoon screening. The viewing was followed by a short "Q&A" session where inquiring audience members got a chance to interact with the filmmakers. Don't miss the exclusive online photo gallery of the World Premier Event! Anyone who missed the World-Premier Screening will soon be able to purchase a LIMITED EDITION Deluxe DVD of "The Collector" on the SUKTION.COM website, reasonably priced, of course. 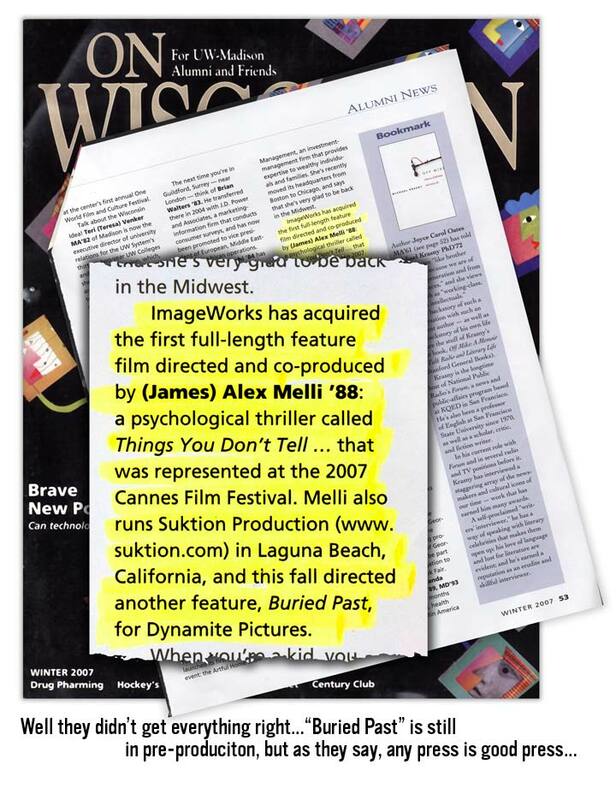 Suktion Production Scores Twice in Design Competition! 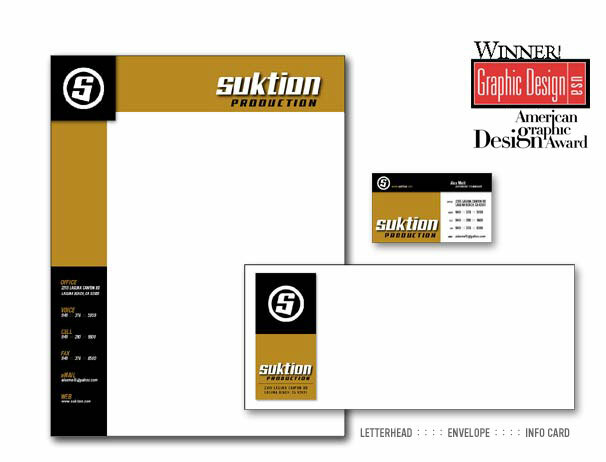 Graphic Design: USA Magazine has selected SUKTION PRODUCTON as a winner in TWO categories in the 2001 Graphic Design Awards competition. 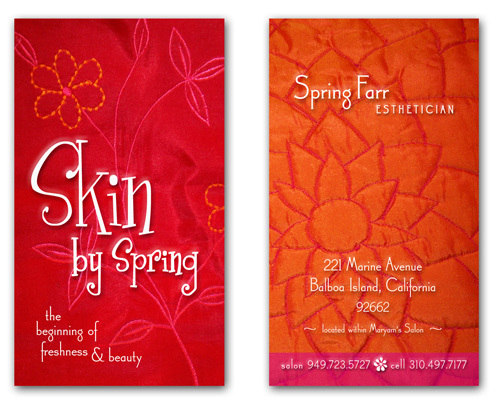 The two winning entries were Suktion's own Letterhead and the subtle, yet effective "exhersize!" logo developed exclusively for exhersize! fitness by Suktion Production. Now in its 25th year, this competition has emerged as one of the most prestigious and, at the same time, the most democratic of all graphic communication contests. This year's entries numbered roughly 10,000 and winners were selected by the nationwide panel of 7 judges.